Aside from its creamy deliciousness, as well as the fact that it is a bagel’s best friend, many people do not know much about cream cheese. In fact, cream cheese has a very long history, being first thought of as early as 1583 in England. The concept did not leave the country until 1651, when the French discovered the concept. Even more surprising is the fact that the first recorded recipe of cream cheese did not come until 1754 in England. Today, for it to be considered “cream cheese” according to the U.S. Food and Drug Administration, it has to include at least 33% milk fat, have a moisture content that is greater than 55%, and reach a pH range between 4.4 and 4.9. This high fat content has not stopped cream cheese from being consumed by billions of people each day, who just cannot resist the creamy texture and deliciously incomparable taste. Cream cheese has exponentially developed over the years, to now include hundreds of different flavors, ranging from chocolate to jalapeño pepper. 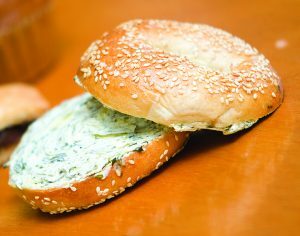 Stop by the Bagel Bakery today to try our homemade, and skillfully crafted version of this great invention! Today, August 15th, is National Relaxation Day! While it may not be so easy to celebrate this holiday the way you would like to since it is in the middle of the week, there are still options for you! 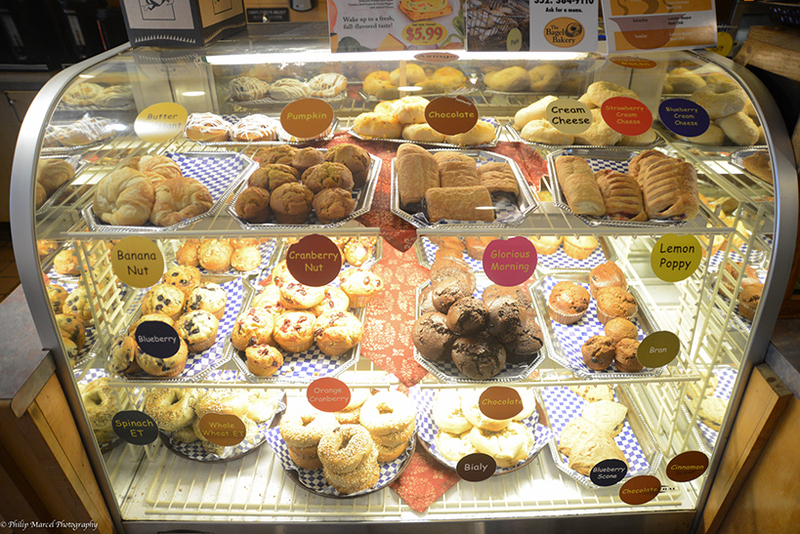 First and foremost, start your day off with the Bagel Bakery! 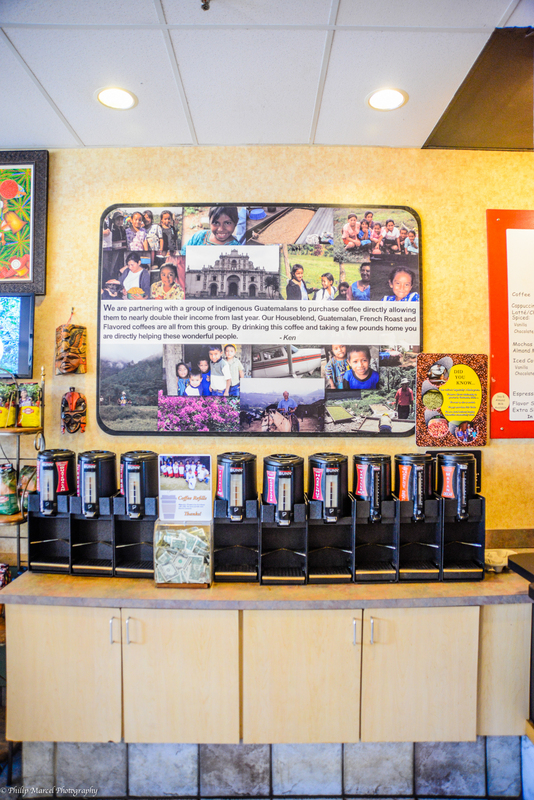 Come on in, grab a bagel and a cup of freshly brewed coffee and take a moment to just…. RELAX! And then, while you’re at work or school, put yourself in the place where you are most relaxed, maybe the beach, or on a hike, or the Bagel Bakery! During lunch, come back to see us! Grab your favorite sandwich, and maybe even a second cup of coffee, check your tweets and texts and store all of the stressful stuff in the back of your mind! 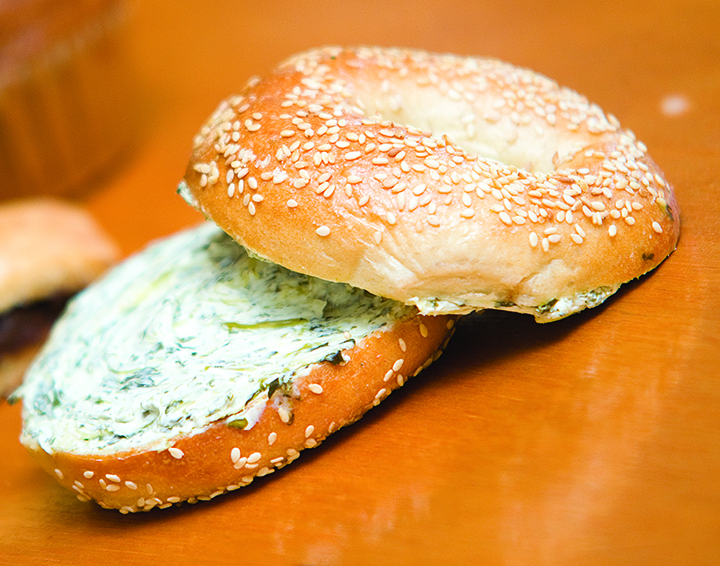 There’s nothing better than eating your favorite food with a clear mind and good company (the Bagel Bakery staff!). Finally, after your day is complete, you have the rest of the evening to just relax with your family and do whatever you want, even if that involves doing nothing at all! Once again, Happy Relaxation Day from all of us at the Bagel Bakery! We can’t wait to celebrate with you. School is right around the corner, which means more and more Gators are coming back to Gainesville from vacation, or study abroad or visiting home. What better way to welcome yourself back to The Swamp than by coming to the Bagel Bakery and ordering our Gator Club. This Menu Item Spotlight is definitely a fan favorite, full of mouth-watering roasted turkey, deliciously fresh ham, lettuce, tomato and your favorite slice of cheese, all on your choice of bagel or focaccia bread. For just under $8, you get a delicious meal, and the perfect opportunity to celebrate the beginning of another great school year. Stop by the Bagel Bakery today, bring your closest friends and family and talk about what a great summer you had, and what a great school year lies ahead over a Gator Club! School is just around the corner, and there is no better way to kiss the summer goodbye than with a home-cooked brunch for all of your family and friends! We here at the Bagel Bakery love entertaining guests with food and good company, so we’d love to be a part of the fun and give you some ides that will make your brunch one to remember and leave you doing minimal preparations! 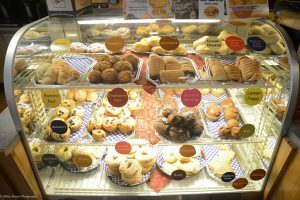 First, for an easy appetizer to hold your guests over, serve coffee from the Bagel Bakery, paired with some of our delicious muffins! Your guests will go crazy for any of our chewy and sweet and delicious muffins! For the actual meal, here are three recipe ideas that are sure to please everyone! 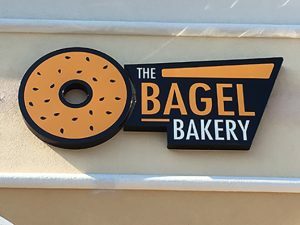 Bagel French Toast: Order one (or more) bags o’ bagels from the Bagel Bakery, cut them horizontally to make four slices out of one bagel, and use them in your favorite French toast recipe. Top with your favorite fruits, syrup and some whipped cream and the rest is history!! Bagel Egg Sandwiches: Start off by scrambling some eggs, and frying some bacon and then put it to the side for a few minutes. 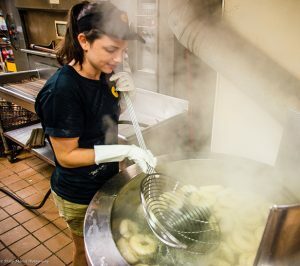 Then, grab another bag o’ bagels from the Bagel Bakery, slice them in half and line the bottom half of about six bagels on a baking pan. Lightly coat each bagel with butter, and then pile them high with the scrambled eggs, bacon and your choice of cheese. Next, cover each bagel with its top half, and bake in the oven until the cheese is melted and the bagel is toasted. Finally, once they are out of the oven, separate them and serve to your guests! This is a sandwich that you’ll love to make because it is easy, fast and delicious! Bagel Quiche: Time to use yet another Bag o’ Bagels from the Bagel Bakery. Slice only the very top of the bagel off horizontally, and then hollow out the insides. Fill the bagels with your favorite quiche recipe, bake them and then serve to your guests! With these three quick and easy recipes, you will officially be deemed Brunch Royalty! We at the Bagel Bakery can’t wait to hear how it turns out! Do you wish you were in Italy, taking a gondola ride with your family and eating tons of gelato and pasta? 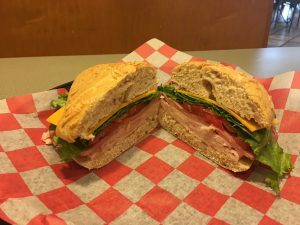 Well the Bagel Bakery can’t take you to Italy, but we can sell you an Italian Turkey sandwich that will make you feel like you’re in Italy if you close your eyes and play Dean Martin’s “That’s Amore” in the background. 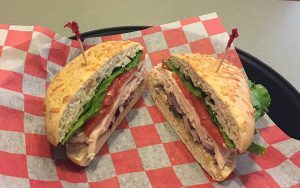 Our Italian Turkey sandwich features roasted Michigan Turkey breast, green leaf lettuce, tomatoes, red onion, and perfect pesto sauce; that’s truly amorè! There is nothing quite as delicious as fresh focaccia bread, slathered with pesto and filled with such refreshing ingredients. 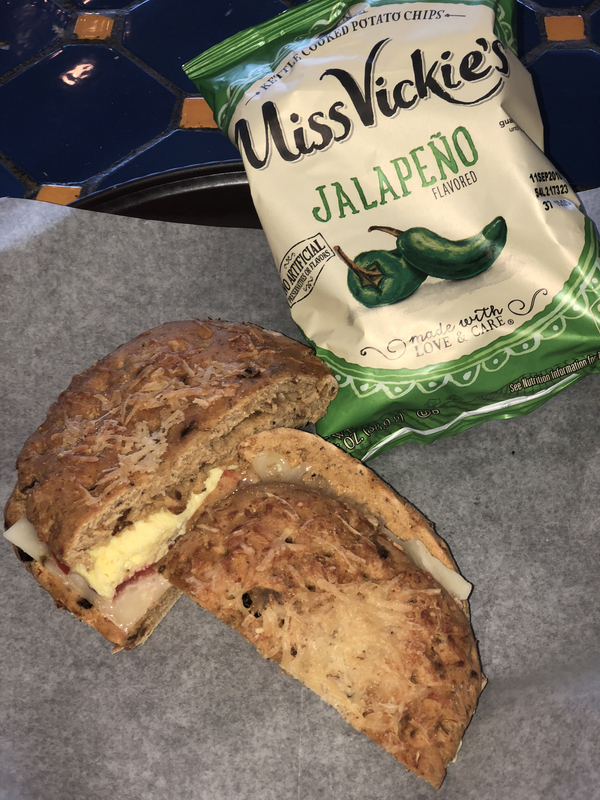 This really is one of our favorite menu items! Stop by the Bagel Bakery today, order our Italian Turkey and be transported to that gondola instantly! 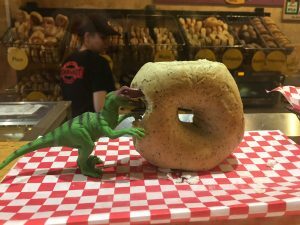 After reading the title of this post, you may be asking yourself, how on Earth can a bagel shop (albeit the best bagel shop) have the power to help me live longer? Well, the Bagel Bakery itself will not help you live longer unless you take into account the happiness we bring you. Coffee, which we make and sell in store, however, has been scientifically proven to lower a person’s risk of death by over ten years. The study was conducted on almost 500,000 British adults and revealed an extended lifespan of those who drink at least eight cups O’ Joe each day. 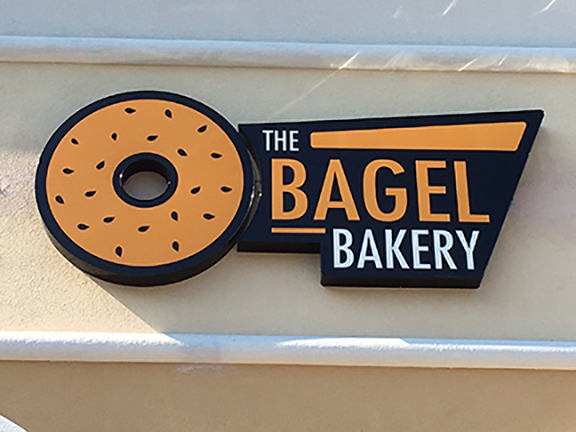 That sounds intense, but it just means you’ll be spending more time at the Bagel Bakery to get all eight cups! The best part of this whole study is that not only did this study show that the coffee drinkers had a lower risk of death than the abstainers, but it also showed that their lower risk of death coincided with a lower risk of cancer and heart disease. The researchers have not yet been able to pinpoint exactly how it reduces the risk of death, but hey, we’re not complaining! We’ll take any excuse to drink more coffee! 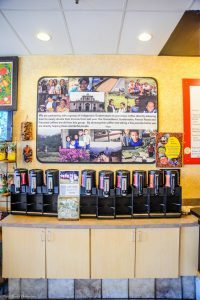 Stop by today to get your eight cups of freshly brewed coffee and live a healthy life with your friends at the Bagel Bakery!